My Friends from Afar - Super Powers! My Friends from Afar (知星人) is the latest 25 episode prime-time blockbuster currently airing on Channel 8. The story centres on a group of 4 aliens who land on planet Earth and their comedic challenges to integrate with Singaporeans. Discussions began before the story-boarding stage and the visual effects were categorised and prioritised according to their varying complexities. 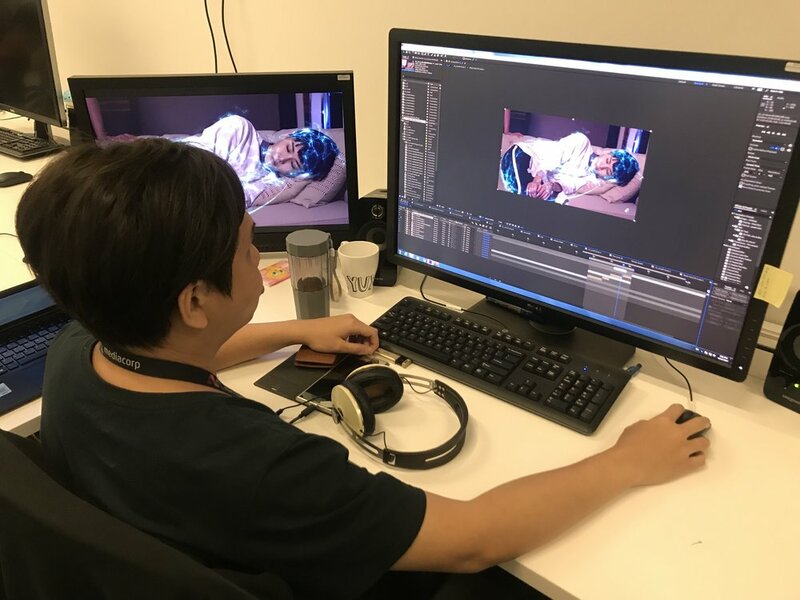 The Mediacorp Digital Arts team was tasked with proposing & executing the visual effects to depict the aliens’ ability to visually project their thoughts, defy gravity, erase memories, including power charging! 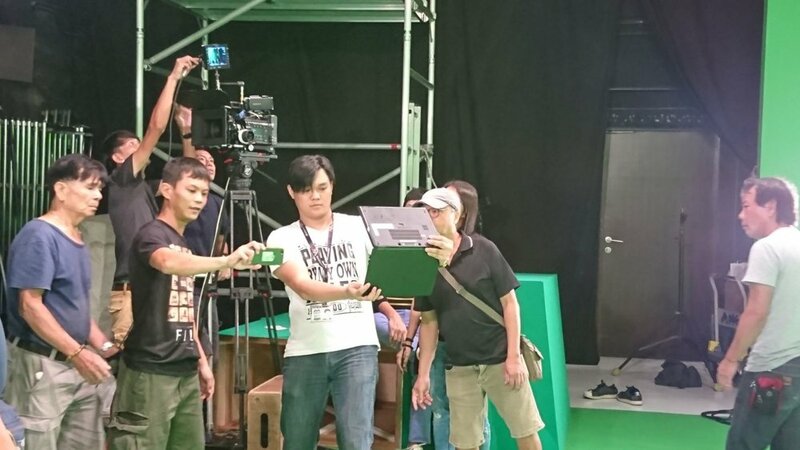 Lucas Wong, Digital Artist supervising the CSO shoot depicting the Aliens’ ability to defy gravity. The results from compositing actual footage with CSO footage. More than 250 shots were processed by the Digital Arts department, from wire removal to the visual effects listed above. Production Resource plays a critical role in engaging the VFX and graphics industry through the procurement, selection and ensuring the final delivery of VFX & character animations - as depicted in the production. For more information on Digital Art and Video Post, please click here.